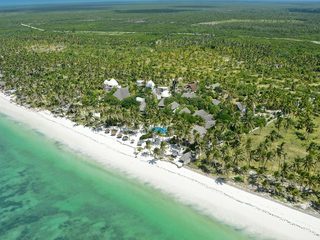 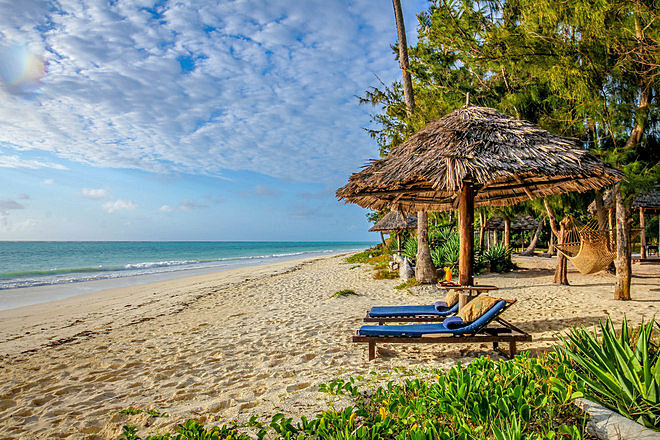 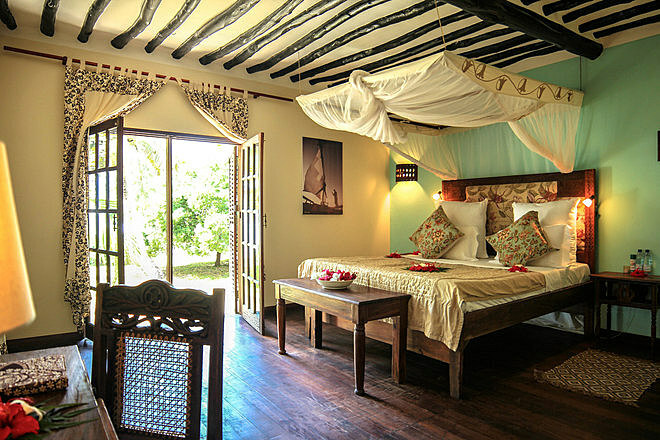 Situated on the white sand beaches of Zanzibar's east coast between Paje and Raz Michamvi, Anna of Zanzibar is a luxury beach lodge accessed by fly-and-transfer from Stone Town. 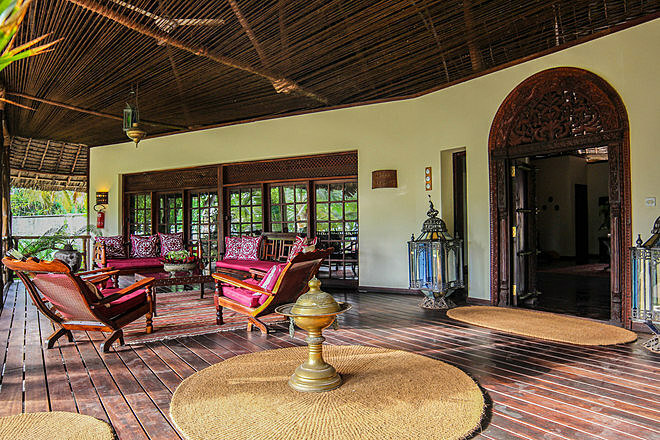 The lodge promises peaceful relaxation in a beautiful tropical location, and although the prices may be somewhat steep compared to other high-end lodges in the area, exceptional hospitality and well-appointed accommodation guarantee a comfortable and luxurious home-from-home. 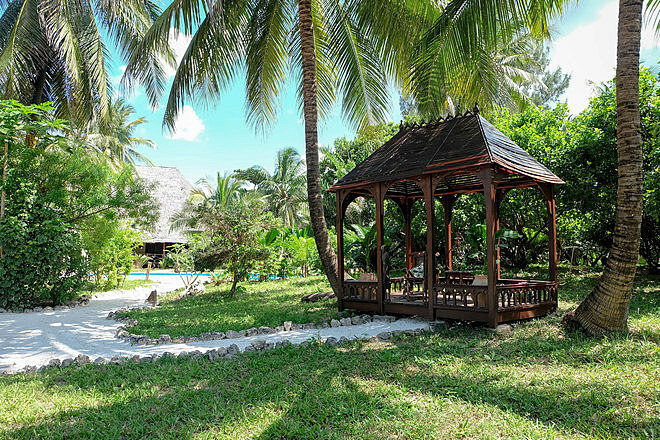 Set within lush tropical gardens that open out onto the beach, the lodge occupies a beautiful spot right on the edge of the Indian Ocean. 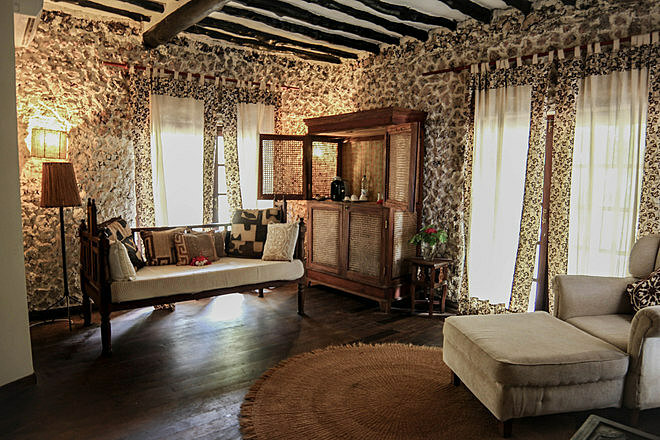 The décor includes a fusion of colonial furniture, Arabian textiles, African fabrics, and Portuguese porcelain which makes for a cosy and relaxed feel, further enhanced by attentive staff and excellent hospitality. 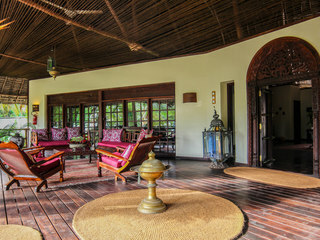 The main spaces comprise a large dining area, a lounge with comfortable sofas and library, an adjacent TV room with extensive DVD collection, and a low-lit bar where guests gather for pre-dinner cocktails. 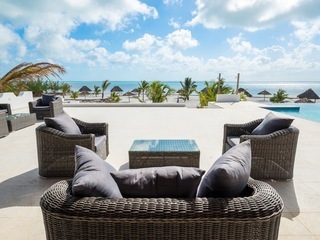 Dining is extremely flexible, with guests able to choose between the main terrace, their own villa, the beach, or a candlelit table next to the swimming pool. 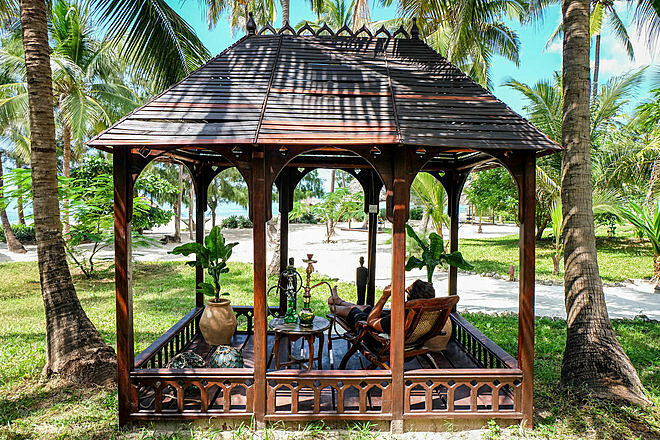 There are several private beach huts in the gardens, along with a shisha gazebo, and a Spa offering a variety of luxurious treatments. 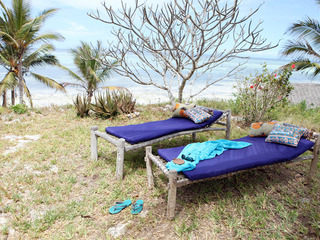 On the beach itself, hammocks and sun beds are available, along with a colourful curio shop. 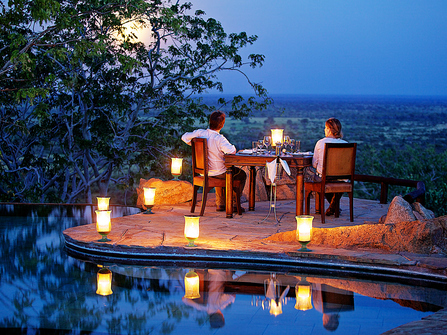 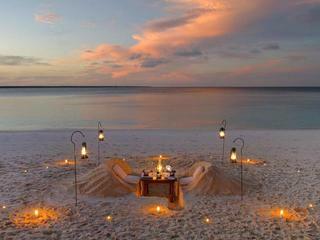 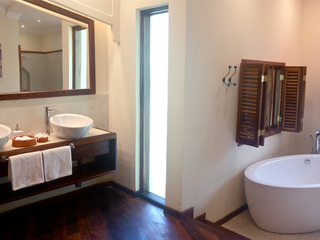 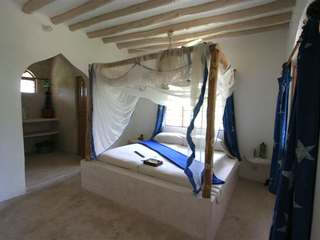 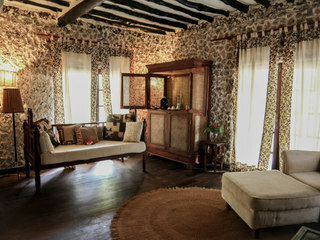 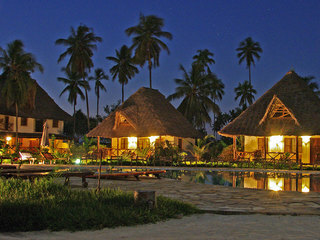 The accommodation comprises just five thatched villas, well spaced out across the tropical grounds. 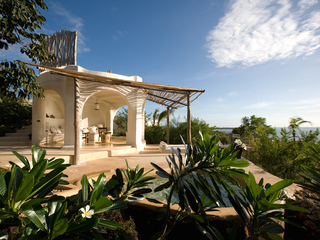 Each villa has a peaceful and private feel, and views stretching across the gardens to the ocean. 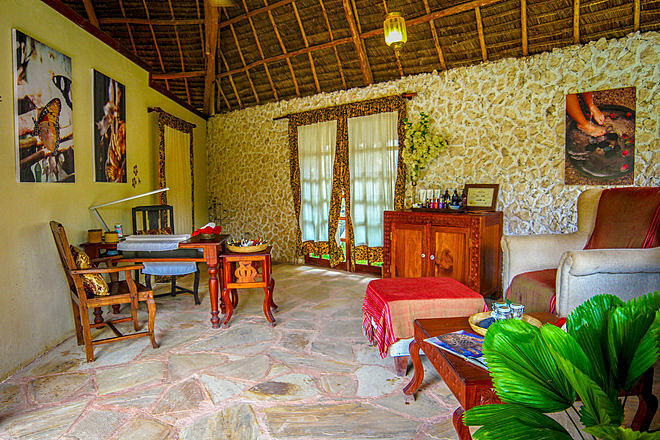 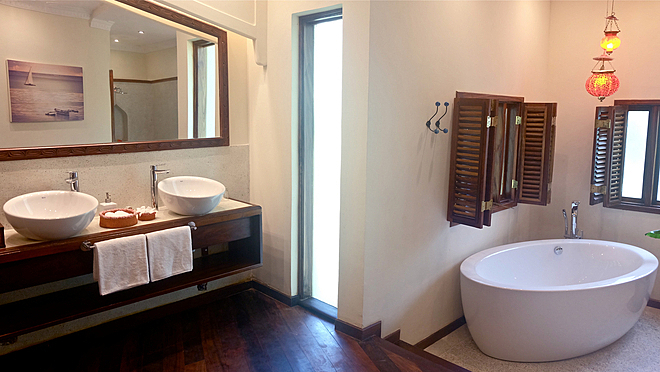 Beautifully decorated with ornate wooden detail and colourful fabrics, all villas house a lounge area, separate master bedroom, dressing room, and large bathroom equipped with twin sinks, shower, and complimentary toiletries. 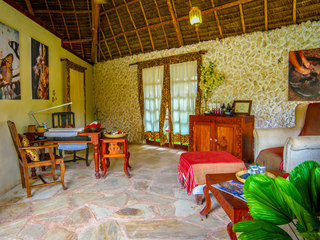 Facilities include a mini-bar, safe, hairdryer, tea and coffee facilities, full air conditioning, WiFi, and room service at no additional cost. 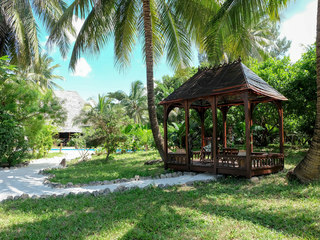 Activities naturally centre on the adjacent beach which, although not private, is a beautiful place to relax and explore. At high tide, guests can go snorkelling or swimming, and at low tide, rock-pooling and beach walks are a delight. 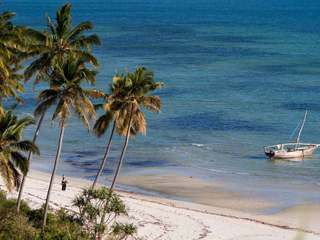 Half or full-day deep sea fishing trips can be arranged, as well as diving courses and excursions in conjunction with the Rising Sun Dive Centre. 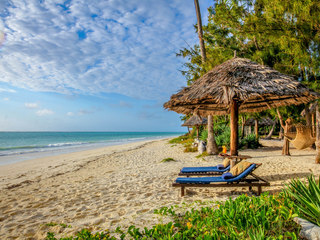 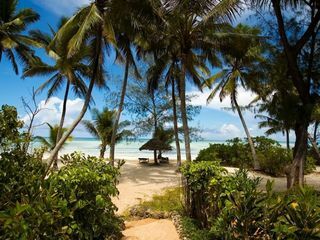 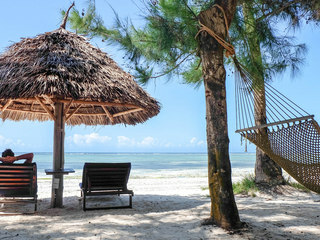 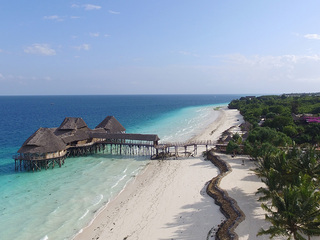 In common with other locations along Zanzibar’s east coast, the beach is subject to tidal variations and it’s not possible to swim all day every day, so it’s worth pre-planning the timing of beach excursions. 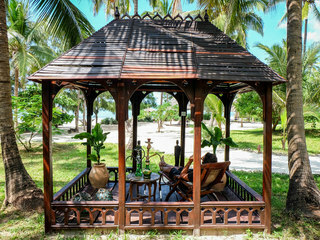 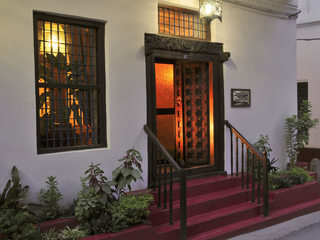 Families are welcome at Anna of Zanzibar, and there are no age restrictions. 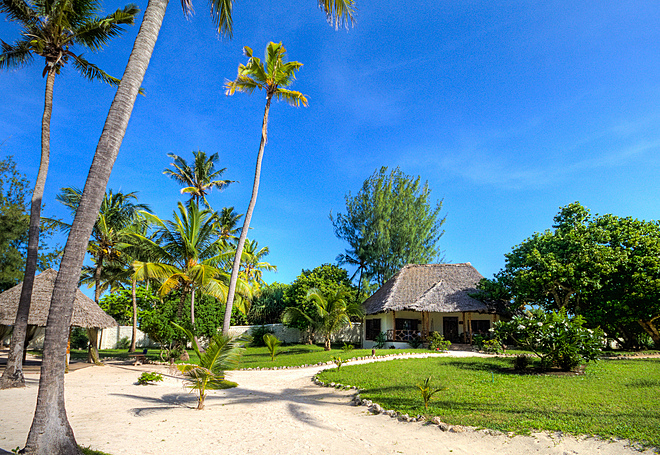 Three of the villas can be easily adapted to family needs, with the simple conversion of the air-conditioned sitting rooms into second bedrooms. 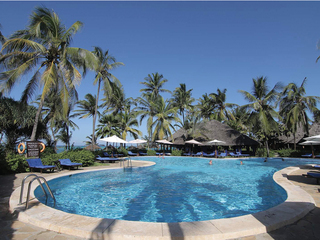 Cots and highchairs are available on request, and although there are no child specific activities, floats and toys are provided for the large, freshwater swimming pool which will doubtless keep younger family members well entertained. 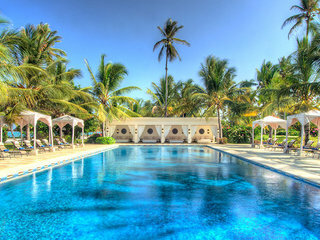 Note that the pool is very deep, so parental supervision is essential at all times. 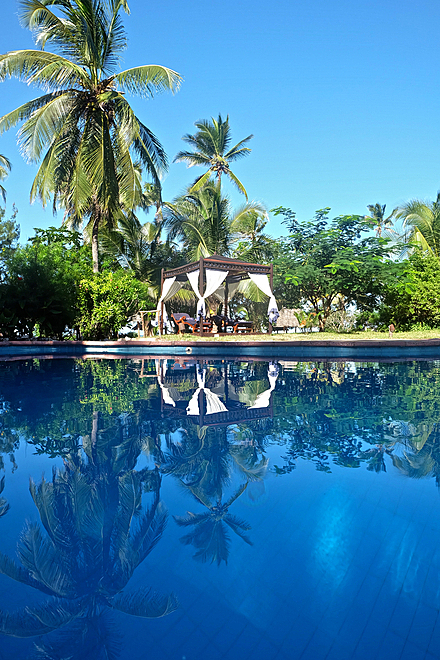 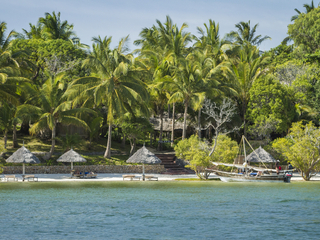 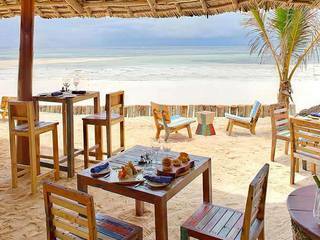 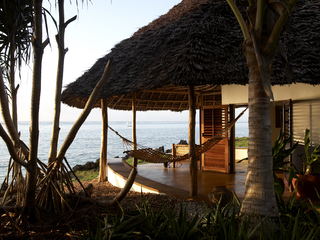 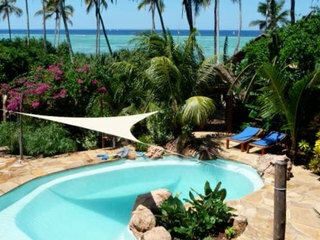 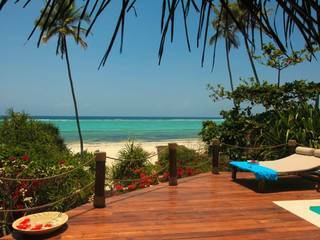 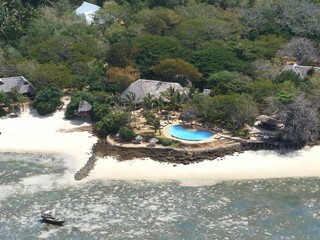 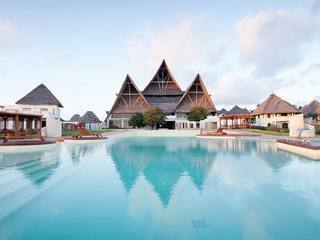 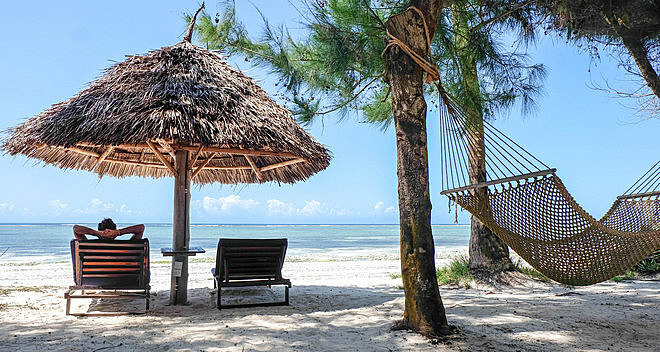 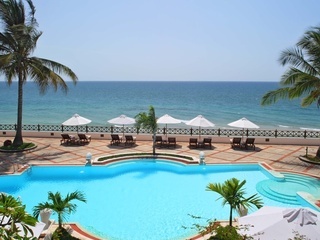 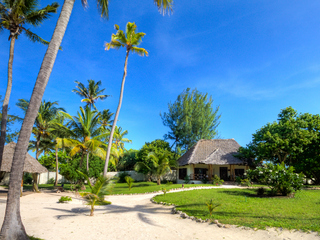 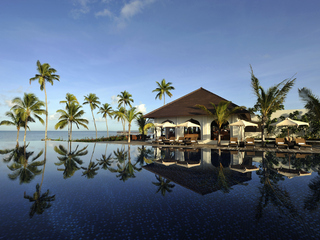 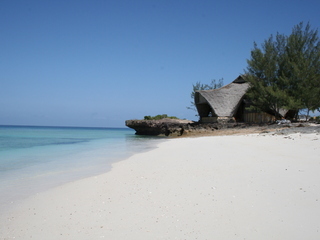 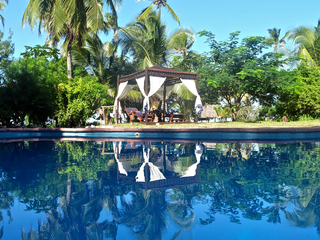 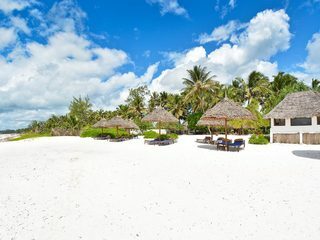 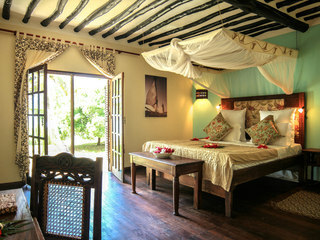 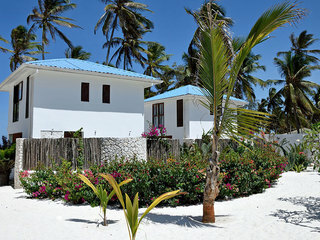 Anna of Zanzibar offers sun-seeking guests a seamless beach holiday in a breath-taking location.